Birthday Party: Keeping in mind the era, parents now want to observe the birth day especially for the children. Whether you are at home or in a five-star hotel, do community centers or tents in the open ground. 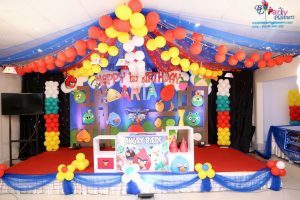 In the heart of the movie, entertainment system, professional photographs, inviting cards, and the most important attraction is to create fun cakes (if you prefer, preferably) at Star Events. Stay relaxed with responsibility. Step 1. Venue Selection: As a festival and occasion 2 surround the child, the venues will also be selected. There will be various types of toys. There are more photo shoots by professional photographers. Step 2. Cake Creation: The biggest attraction of a birthday is the attractive design cake. And there will be all the sweet food items. Step 3. Entertainment: A joker’s entertainment, magic show or other entertainment arrangements can be arranged for entertaining customers.